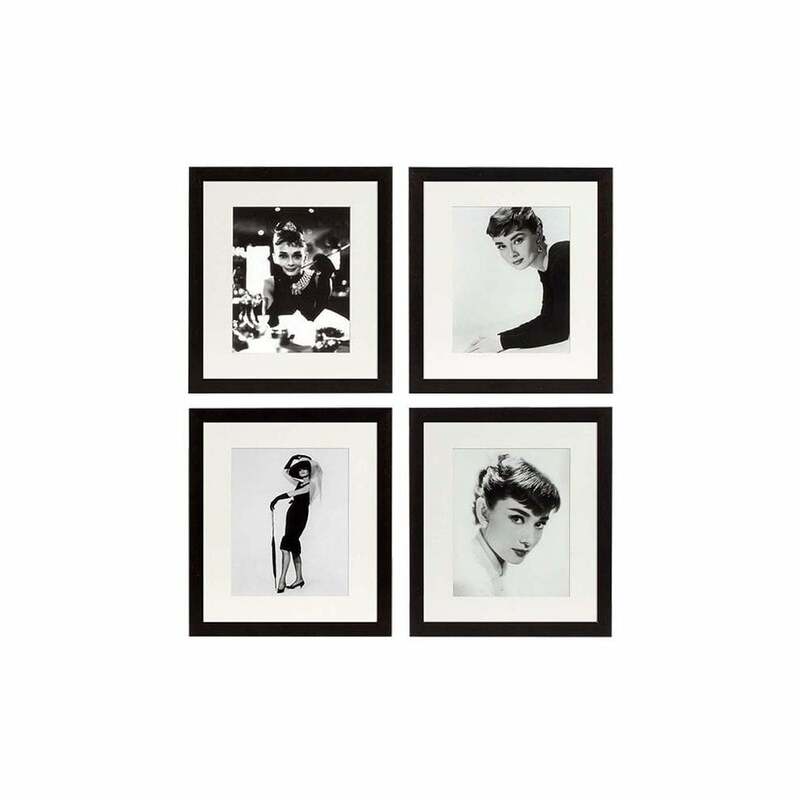 Bring a touch of glamour to your interior with iconic images of the screen siren, Audrey Hepburn, in a set of four luxurious prints from Eichholtz. Featuring four timeless black and white prints of the film legend. The collectable set includes the legendary Breakfast at Tiffany’s promotional movie shot. The set also includes two portrait shots along with a full length pose. The monochrome prints encapsulate the beauty of the movie legend and are offset with a complementary black wooden frame. The classic simplicity of the print would be ideal in a glamourous boudoir or dressing room, offset with faux fur and glistening lights.